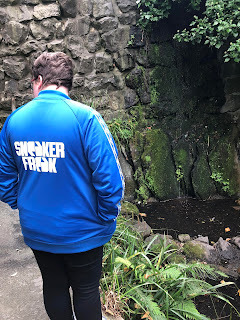 I love wearing sportswear no matter the occasion as it is just so comfortable and every now and again brand collaborations come along which you really need to pick up. 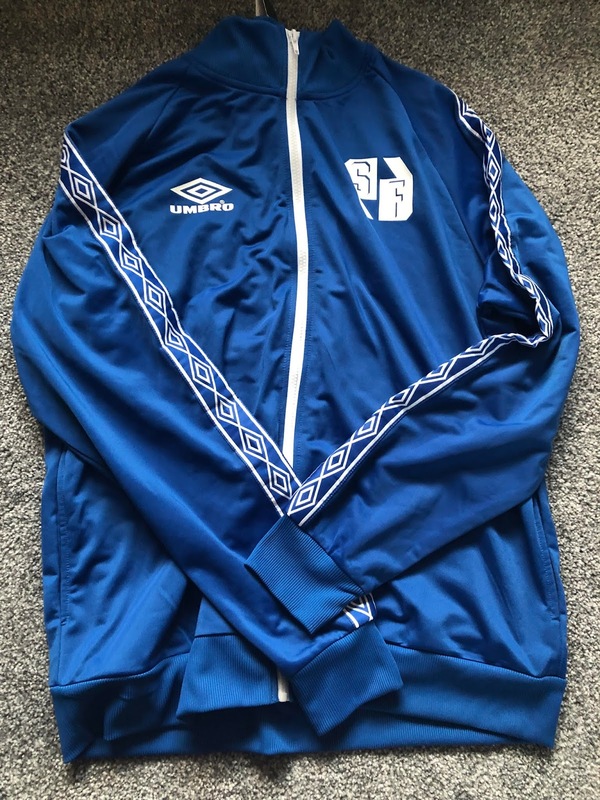 Umbro is one of those brands where growing up I wouldn't wear it but now I am constantly on the look out for what pieces I can pick up, especially with Ashlyn Harris promoting a lot of their items. 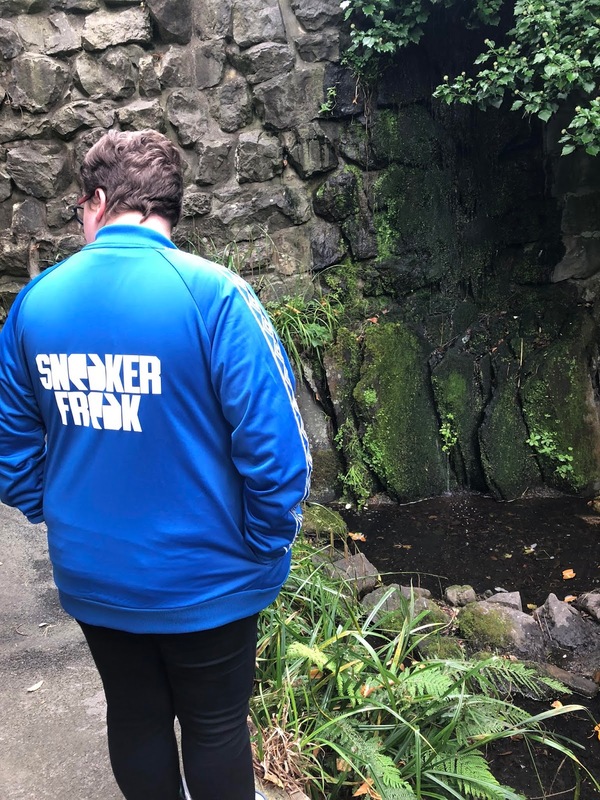 Back in August whilst in Manchester me and my auntie called into Footlocker where I saw this brilliant jacket. There were a variety of colours but for some reason this blue one really stood out. It is a bit like an anthem jacket players would wear before a football game but it also looks pretty smart when on. I am picky when it comes to jackets, they need to have a decent collar and need to stand out most of the time, this one ticks both those boxes. Teamed up with some skinny jeans or joggers and a clean looking pair of trainers this looks absolutely brilliant I am so glad I picked it up. On the front you have the white Umbro logo and white Sneaker Freak logo teamed up with a white zip and white Umbro logos on both sleeves. Meaning there is plenty of detail which all stands out. Then on the back you have the large Sneaker Freak logo just in case anyone missed the front. This is my second Umbro jacket but my other is much more subtle so this is a great addition to my wardrobe. The material is stretchy but it goes back to its original shape especially around the wrists which is where I usually struggle for a good fit. This is definitely a jacket I will be wearing for years to come. 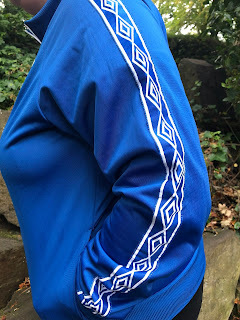 Keep the brilliant jackets coming please Umbro. 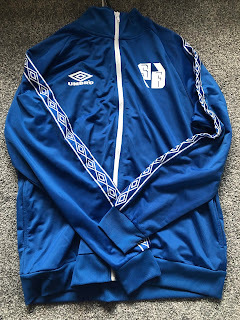 I need to try out a few other Umbro items soon too and see how they live up to the jackets.